This year's 2014 Fall Senior Pet goes to...Riley Orlady! 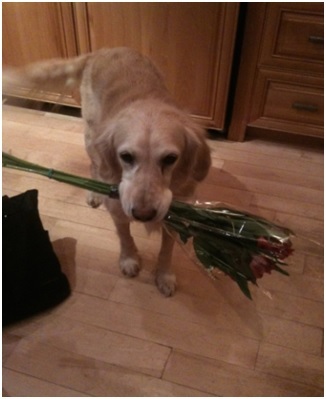 She's a 10 and 1/2 year old pure bred English Golden Retriever. This girl does it all, from swimming and playing catch to taking 3 to 5 mile walks almost every day. When she was just a pup her trainer called her, "The most joyful dog in the world!" Riley's favorite thing to do is carry things in her mouth. She gets the paper every morning, she carries her mom's water bottle for her, she even helps to bring in the groceries. She knows tricks too. She can roll over, "lick her chops" and untangle her lead when her people ask her to. 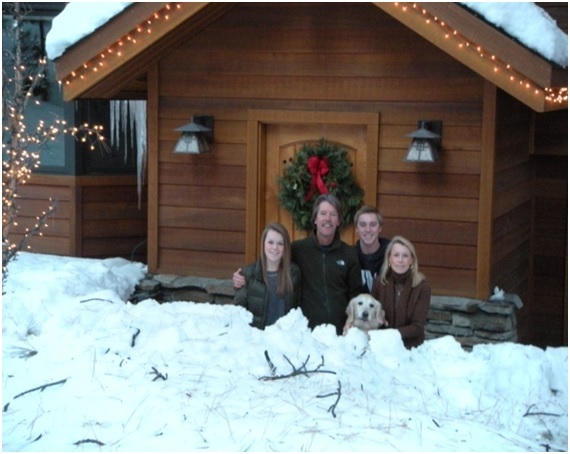 The Orlady family has been coming to see Dr. Raymond and Dr. Faber for over 20 years, all the way from Tahoe. 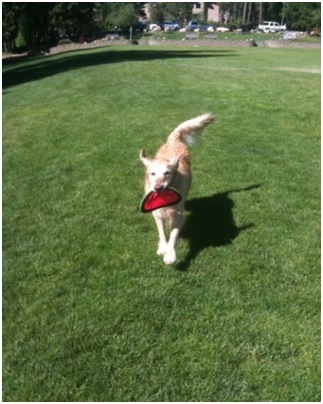 Riley has been participating in our Senior Care Program since she first started her "Golden Years". Riley has had her fair share of health challenges to manage. Recently, Dr. Raymond found that she has kidney disease. As our pets age it's important to check blood work in order to see how their organs are functioning. In Riley's case we found that we needed to make a few changes to help keep her happy and healthy. She already has such an active life style, Riley's family will just need to change her diet to low protein and give her fluids under the skin to help flush her kidneys. So far, Riley is doing well with her new diet. She loves eggs, cantaloupe, kale, baby carrots, red peppers and apples. She even takes her medications in raspberries instead of pill pockets! Riley continues to have a great sense of humor and enjoys dressing up for special occasions. Thanks to the love and care from BCPH and Riley's family, she is still the most joyful dog in the world and one super senior pet!